BrainBOK is an application designed to help project managers achieve PMP® Certification­. It integrates a variety of tools such as PMP exam simulator, PMP flashcards, PMP ITTO Quiz, and PMP ITTO Explorer, and can be called the swiss-army knife of PMP® exam prep. It aims to transform the way people prepare for these certifications. BrainBOK introduces some unique features such as the ITTO Explorer, which render hundreds of online PMP® resources, and gazillion spreadsheets, obsolete. It has a minimalistic, intuitive and user-friendly interface. Though it’s not a mobile application, many of the features are designed with mobile devices (such as iPhone and iPad) in mind. Above all, it’s free to try. Let’s take a quick tour of the features of BrainBOK. 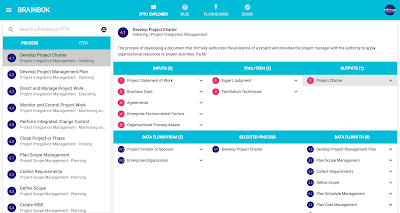 ITTO Explorer is a unique way to explore the Inputs, Tools and Techniques, and Outputs (ITTO) of the project management processes defined in the PMBOK Guide. The usual slow, boring and painful process of referring to the PMBOK Guide comes alive with the ITTO Explorer. It brings the entire PMBOK Guide to your fingertips. It’s the fastest way to familiarize with the ITTOs. PMBOK Quiz is a simple multiple choice question (MCQ) based quiz designed to master various aspects of the PMBOK Guide. Use it to master project management process ITTOs, PMBOK Glossary and many more areas. Jog your memory everyday and make learning fun with the PMBOK Flashcards. It has a simple and and intuitive interface, which focuses on usability and content. Use it on your computer or mobile devices anywhere anytime. PMP Exam Simulator is multiple choice exam application designed to simulate the real PMP® Certification Exam in terms of the quality of questions and user interface features. This tool is still work-in-progress and will see lots of improvements in future. And that’s not the end. In fact it’s the beginning. Expect to see many new tools being added to this application. But while you use this tool, keep in mind that it’s NOT a commercial application, and hasn’t been tested and reviewed thoroughly. It’s also under active development and you may see issues and outages. So, please do not set your expectations too high just yet. In follow-up posts, I’ll discuss the features and issues in detail. I’m open to your ideas, feedback, suggestions and contribution (in terms of content). Congrats Harry.. I may be fortunate to be the first person to read this post.. :). 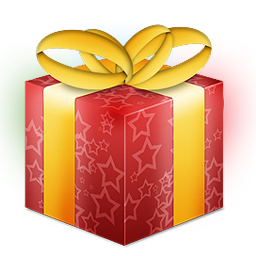 A while back i noticed there are no updates from you on your Christmas gift in this blog, but we all got it now. To all the PMP aspirants and Project Managers, brainkbok is an excellent tool for those preparing for the exams and also for others who regularly wants to keep refreshing their PM knowledge. Thank you Harwinder for this wonderful tool. All the very Best. Thanks a lot for your good wishes and constant support. I'm not sure whether you have noticed, but I'm seeing severe problems with the application for the past couple days. It either fails to load or takes a very long time (typically around a minute) to load. It seems to be a problem at Google's end and because of the holidays, it might take a while for things to become normal. Thanks Harwinder. Really Appreciate your effort on this. I was going thro ITTO section for last 1 hour, it is really great. Thanks Bharat and Srik ! Just added 107 Acronym flashcards to BrainBOK. You can subscribe to BrainBOK announcements on BrainBOK Feed page. This is indeed a great tool. Hope it helps in the exam cram. Thanks kpm, Preetham and Huzefa. Try the ITTO trainer tool from Primoz too. Excellent Tool..Many thanks to you for this initiation. Thanks, Nitika. I appreciate your feedback. I’m working on adding some really cool visualization features to the tool. Keep looking out for new updates or subscribe to BrainBOK Feed . I chose excel version as user can perform the activities offline & no need for them to be online always. I am really happy that our ideas are matching so much. Thanks for your comments. The excel file is password protected. Can you provide the password or share an unprotected version of the file? Oops. I am really sorry for not pasted the pwd. It is "leadershipchamps" (without quotes). You can open it as read-only. I used VBA to load the data so excel may ask you to enable macro. That's really great work. The ideas are indeed very similar, just implemented differently. I think it's good to have access to both ITTO Explorer (BrainBOK) and your excel file, because both have their advantages and limitations. I do plan to make some additional enhancements to the ITTO Explorer. If you have suggestions for me, I'll be more than happy to hear. New cool visual analytics coming to BrainBOK soon. Here’s a sneak peek: BrainBOK Quiz . Harwinder- Splendid job ...the diligence of you work is just unbelievably remarkable. I had just one quick suggestion; if tooltips are added to all the inputs/tools and outputs.I think it would make tool super powerful for skimming too. I would be delighted to contribute. I can send the short text for tooltips per ITTO. Thank you for your wonderful comments and feedback. That's a great suggestion. Actually, I had started working on it, but stopped short. The feature is already available on the Process names, so why not have it on the ITTOs to make the tool more comprehensive? The problem was that I wanted to make the description "context-specific". Let's consider the input "Organizational Process Assets" (OPAs) as an example. We all know what OPAs are, but not all OPAs are used in every process that has OPAs as an input. Let's say a user selects a process in the process grid that has OPAs as one of the inputs. When the user hovers the mouse on the OPAs in the input grid, in the description I want to show the specific OPAs which are used in that process. I don't want to just give a general description of OPAs. Are you thinking on the same lines? Making the description context-specific will involve a considerable effort. That's why I haven't implemented it. However, now that you have brought up the point, I'm thinking that having a general description is better than having no description at all. I'm delighted to know that you are willing to help. I can use any help that I can get. Please send me a message with your email address from the "Contact" page. I'll send you an Excel sheet with the ITTO names. You can enter the descriptions in the Description column. Thanks again for your feedback and help. Looking forward to your contribution. I was thinking along the same lines as well; making description "Context-Specific". It would be easier to gather the contextual text from PMBOK but enormous high efforts implementing it. As a starting point we can add general description as "Ticklers". I have sent you my email information as well. Awesome awesome & Just awesome. Perfect Tool & Aid for PMP Prep. Very Helpful. Hi. I just happened to visit this site and the tool look very impressive. But I don't see many pages, In ITTO explorer it says No items to show, al the Flashcards are not showing all the process and knowledge area details. Can you please verify and fix this asap. Regarding the ITTO Explorer, you need to click on the "Load Data" button at the top of the page (just below the tabs) to load the data. The Flashcards and Exam Simulator are still work in progress. I update them as and when I find time. There are about 500 flashcards as of now. I'm planning to upload another 150 more flashcards within a week or so. You and others are most welcome to volunteer for developing flashcards and sample questions. You can do it by topics, process groups, knowledge areas, or even PMBOK Chapters. It will help you as well as hundreds of others in their preparation. I am finding this very useful for my preparation. I really appreciate efforts on this tool development. Thanks Sanemi. I dreamt of such comments when I started to develop BrainBOK. Now all the effort seems worthwhile. Well put together. I really love brainBok. The tool is intuitive, simple, comprehensive, and I like the fact that the tests are 1 hour, as this is practical for every day practice. ITTO is very useful to help me remember the inputs, outputs, tools, and techniques. You used the "grill and drill" way of learning. Sometimes this is necessary process in remembering so much material w/o getting confused. I also like the stark white look of the page, however I wonder what would happen if you add audio and color here and there? Might be interesting. Thanks for sharing this wonderful piece of work. You are truly a PMP guru. Priceless - that's all I can say about your comments. I'll surely look at your suggestions and see how I can make it a bit more lively. Currently I'm concentrating more on the content (exam questions and flashcards). Excellent tool. I like the minimalist approach and would much rather have substance over style. The comprehensive content is a great start - I should have flagged some questions like "assumption" where the answer is in the question. Thanks for all of your hard work and sharing with the community. I have just passed my CAPM exam and owe my ITTO knowledge to Brainbok. I discovered it a week before my exam and within a few days I finally 'got' the flow of inputs and outputs. Thank you for making it freely available - it was invaluable to me in my preparation! Joan - Congratulations. I'm very glad to hear that you passed the exam and also found BrainBOK useful. I had tried to put myself in the shoes of PMPs and CAPMs aspirants while designing this tool, and it feels good to know that people are actually finding it useful. Thanks for your feedback. I just used BrainBOK to pass my PMP. I signed up for a 90-day subscription, studied every day, took the test (several times), and lots and lots of quizzes. It was grueling, but I managed to pass the exam. I'm a certified PM now. Thank you, BrainBOK. I'm new to the profession world of Project Management. I'm currently studying for the CAPM exam and a friend directed me to this BrainBOK. Is there any other tools that might help me pass this exam? Please Help. You do not need too many other tools. Hope that helps.